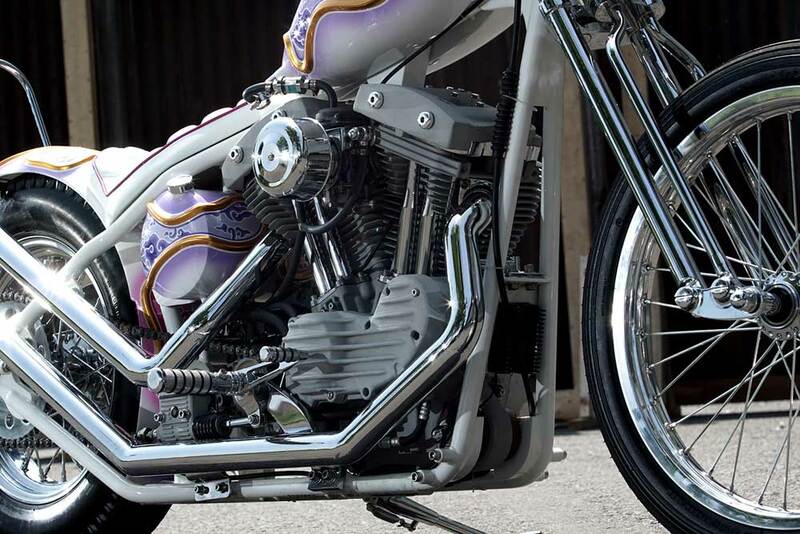 Many special treat is always given by the Kustomfest, to be enjoyed by the visitors of the annual event, including a lucky draw custom motorcycle made by Retro Classic Cycles. In building a motorcycle specifically made for the luckiest visitor of the Kustomfest 2016, the Yogyakarta-based workshop Retro Classic Cycles is not just created of different engineering side, but on the detail concept also comes with a thought of an Indonesian cultural heritage background combined with the aspects of special technologies. Lulut Wahyudi, the owner of Retro Classic Cycles who also the Kustomfest director were not exclusively explore the culture of Yogyakarta, but the richness of cultural heritage in various regions in Indonesia also adds the inspiration. "The Kustomfest is a special event that combines the art and engineering in which all the fans come from all over Indonesia. This is where we devote all the notions, ideas and ability to design and build vehicles. This includes the background of our lucky draw custom motorcycle in the Kustomfest," he said further. Now, the Paksi Naga Liman carriage of the Sultanate Kanoman created in the year 1350 Saka or 1428 AD by Prince Losari, which became a carriage of Sunan Gunung Jati of Cirebon as an inspiration for Lulut Wahyudi in designing a custom bike of Lucky Draw Kustomfest 2016 nicknamed Kebo Bule. "My long dreamy view details such as the carriage is different to the one that I had seen before. In those days it had been prominent in terms of technology that makes the carriage convenient, among others, about the construction of the wheel that takes into account the comfort of passengers," said Lulut. 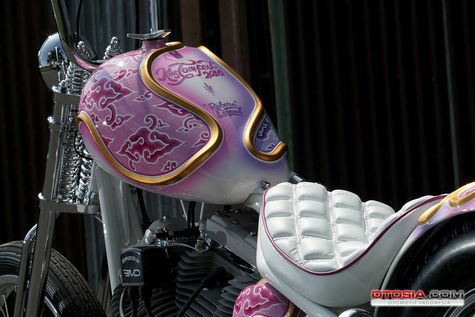 When he returned to Yogyakarta, with a relatively short time, only 30 days to build a custom motorcycle, Lulut gathering the inspiration from the Paksi Naga Liman carriage into the figure of custom motorcycle based of an American Traditional Old School Chopper combined with the Cirebon motifs nuanced. 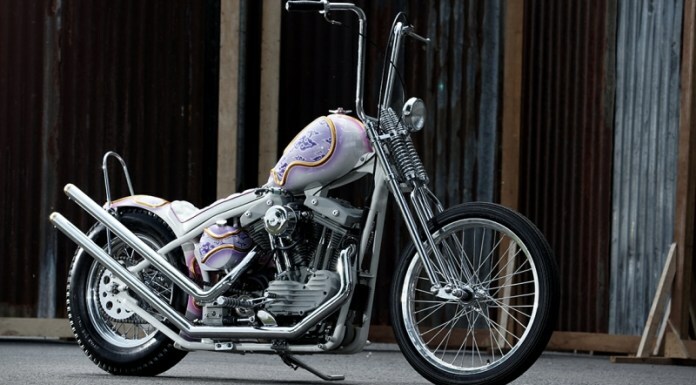 "Why did I choose the traditional style of American chopper, because it was eternal and I would like to dedicate this special work in Kustomfest 2016 themed the 5th Reborn Legend and bring a lot of legends. And Retro Classic Cycles are always oriented to Yogyakarta, but whatever inspiration of Indonesian cultural heritage as well as the Cirebon motif is the evidence of our respect combined with the art of design in the world of custom motorcycles," he said. Every detail ranging from the construction of the frame, handlebars election and riding position has been designed so that Kebo Bule which means 'White Giant' raises glamor and offers a strong blend between art and engineering. "I have traveled the region in Indonesia and continue to study how the builder to design the bike and engineering process. through these Kebo Bule, I enhance what is obtained by taking into account all angles. For example, the blends of fork springer with the dimension of mini ape hanger handlebar to be a characteristic of the traditional chopper style but does not leave the side of ergonomic and comfort of handling," said Lulut. Over selection of the Sportster engine, Lulut not necessarily apply to his rigid frame design. However, filled with art engineering that is directly aligned along Retro Classic Cycles handmade works, including the engine accessory of EMD. In terms of painting, Lulut also now encourage a young painter named Titah Argayoga of Retro Syndicate Kustom Paint to explore his ability to be trusted work on the Kebo Bule painting, including the Mega Mendung batik motif. Do You want to get these special custom bike? Please buy the ticket for Rp.50 thousand (or approx US. $3.89) only as your appreciation of the work of the nation at the JEC Hall from October 8 to 9, 2016.